So... I told you that I would post before and after photos of the barn today. Well, here is a before photo of the barn. You'll have to wait a bit for the after photo, as I am waiting for it to cool down a bit. 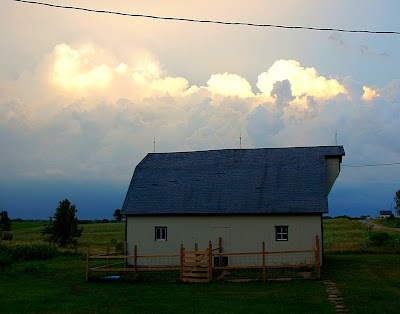 I'm also hoping for an interesting sky behind the barn, like I was provided with for this photo. This photo was taken after we had some straight-line winds, and I happened to go outside and find the critter who will be the star of this week's Camera-Critters post. That's a lovely little barn. But, I'm very interested to see what it looks like now. :) Great photo. Fabulous sky above the "barn before", Misty. And you have me curious about what kind of critter you found. Did it get blown in on the wind? Mysteriouser and mysteriouser. 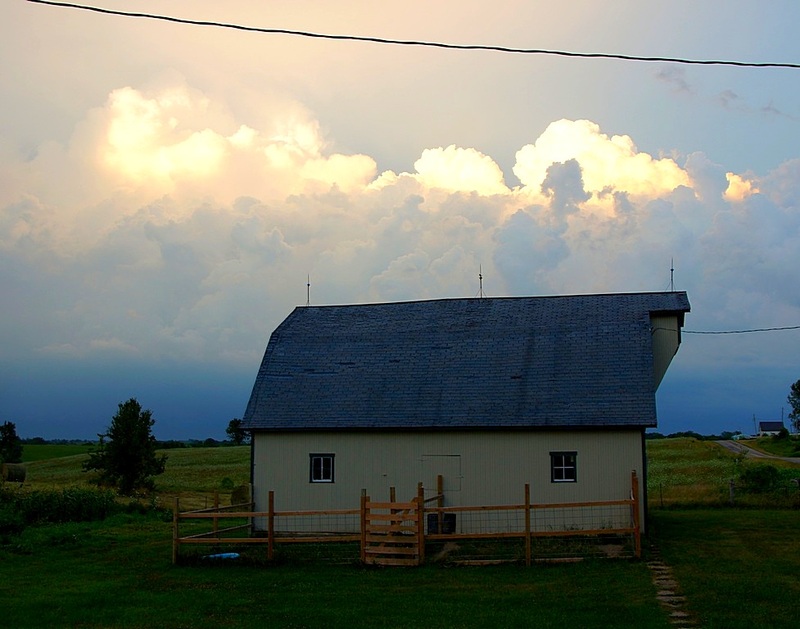 Gorgeous sky shot above the barn. When you wrote about before and after shots of the barn, I thought perhaps you or your husband had done some repairs to the barn or put on a new roof, but I can't see any differences in it in the after photo. Did something happen to the barn between the before and after shots?